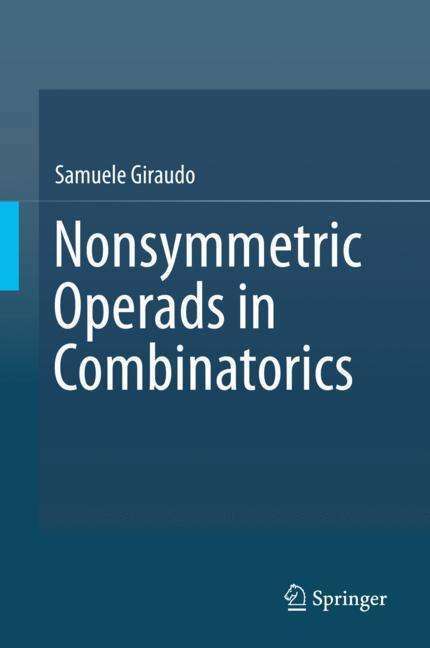 Der Artikel Samuele Giraudo: Nonsymmetric Operads in Combinatorics wurde in den Warenkorb gelegt. Operads are algebraic devices offering a formalization of the concept of operations with several inputs and one output. Such operations can be naturally composed to form more complex ones. Coming historically from algebraic topology, operads intervene now as important objects in computer science and in combinatorics. A lot of operads involving combinatorial objects highlight some of their properties and allow to discover new ones. This book portrays the main elements of this theory under a combinatorial point of view and exposes the links it maintains with computer science and combinatorics. Examples of operads appearing in combinatorics are studied. The modern treatment of operads consisting in considering the space of formal power series associated with an operad is developed. 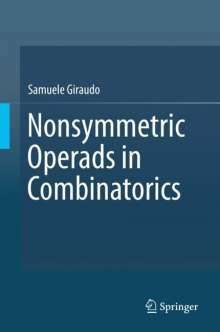 Enrichments of nonsymmetric operads as colored, cyclic, and symmetric operads are reviewed.